We often hear or read about scams. Some of us have even fallen victim to a scam before. So, how can you tell if something (be it a service, product, investment, business, or company) is a scam? 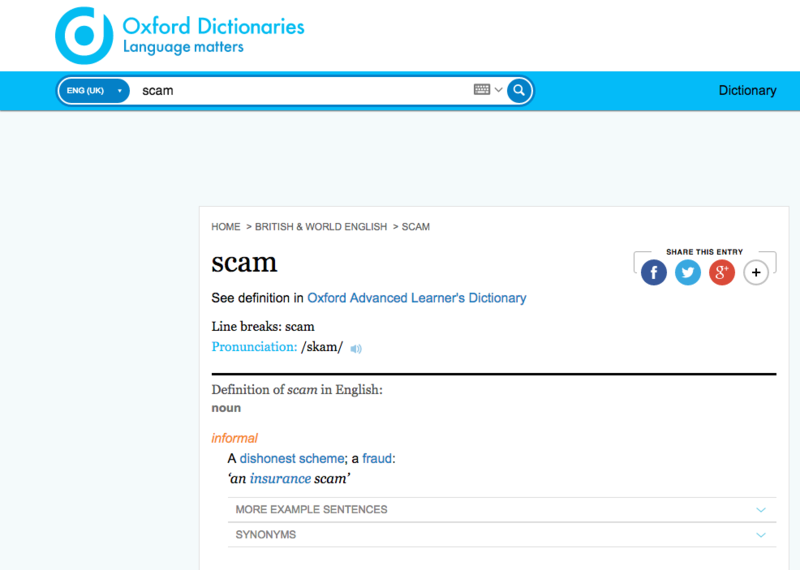 First off, let’s check out the definition of the word scam. Don’t rush into things. 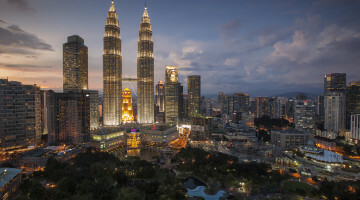 The promise of big returns or easy money are alluring, but keep in mind that if you end up being scammed, you are likely to lose more than what you bargained for. Take some time to do a quick Google search, you can even do a reverse image search. Just do your research first! You can also check out the website of our local Securities Commission Malaysia (Suruhanjaya Sekuriti). A quick search on ‘scam’ will give you a bunch of informative articles. They also have a list of scams to watch out for. Here it is: List Of Unauthorised Websites / Investment Products / Companies / Individuals. Scams usually won’t give you a valid address/contact number, because why would they want you to call or drop by, right? Even if they do, be sure to again, do a quick online search to see if the contact number/address are listed down as part of a scam. A proper company should provide you with sufficient contact information, in case you have any questions. Scams will promise large returns or instant payouts with low risk or for little financial commitment. They do so because they are tapping into the human need for instant gratification. There are also scams that offer high value brand vouchers or cheaper designer products. It is important to note that brands will never create a separate website with a fishy name (example: www.brandnamesale) or offer high value brand vouchers to the first # of followers on social media. Instant payment is impossible as it would actually take a legitimate company some time to process payment, because legitimate companies have paperwork to file, whereas scams can close up shop at any given time. Just don’t believe it when someone tells you that you can earn BIG MONEY for little or no risk at all. If this were the case, everyone in the world would be rich. Scams will not enforce a code of conduct or a set of ethics because they are only in it for the money. Take pyramid schemes for example. Pyramid schemes operate on the basis of recruitment, where members are tasked with bringing in more members to keep money flowing in. The members are unlikely to mention the low odds of success to the new members they recruit. This is essentially lying. One such scam tells you that you’ve inherited a big sum of money from a long lost relative. 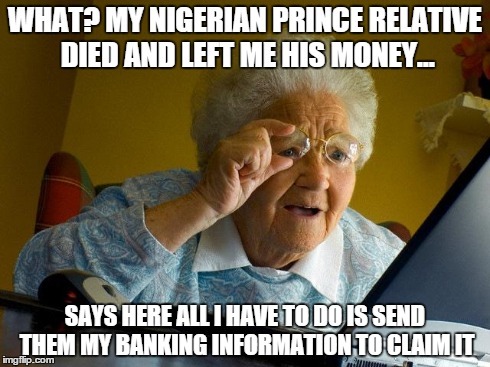 The scam will most likely ask you to transfer money over to help pay for a transaction fee of sorts before you can claim your “inheritance”. Don’t bother. As for a contest prize scam, you will be informed that you’ve won something from a contest you’ve never entered before. Logically, it’s impossible for you to win a contest you’ve never entered before, so don’t fall for it! You are promised access to a lot of money but not before you send in upfront payment. You are given the “opportunity” to join a “profit-guaranteed” investment/business for a “small” upfront fee. Of course some legit businesses do this as well, so remember to do a ton of research on the company behind the offer beforehand. You are sent a notification informing you that you owe balance for an overpaid transaction/product/service. And there you have it – 6 ways to spot a scam. This list may not be extensive, but I hope that it will help you better identify a scam from now on. Always remember to do plenty of research before you commit to anything. Join our social sharing community for more awesome stuff and follow us on Twitter and Instagram! This is great article and was so helpfull.. everyody now should be more alert and carefully about scam.